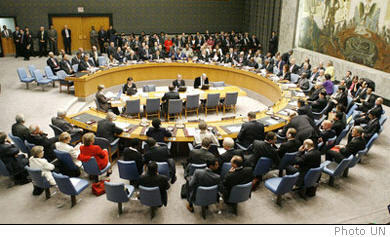 Members of the United Nations Security Council will depart today on a week-long mission to Ethiopia, Rwanda, the Democratic Republic of the Congo (DRC) and Liberia, a spokesperson for the world body announced. The Ambassadors of France, Uganda, the United Kingdom and the United States will lead or co-lead the different segments of the trip, which wraps up on 21 May. During the course of their visit, Council members will engage in talks with a number of actors, including government officials and staff of UN missions and agencies, as well as organizations such as the African Union. The 15-member body visited Djibouti, Sudan, Chad, DRC and Côte d’Ivoire last June during a 10-day trip to the continent.